Japanese stewartia (Stewartia pseudocamellia) is a beautiful four-season tree has graceful limbs and a dense, natural, pyramidal shape. Its bright green leaves giving way to orange to red to bronze-red fall color. The bark ranks as the best in the genus: mottled shades of brown, gray, and reddish brown. 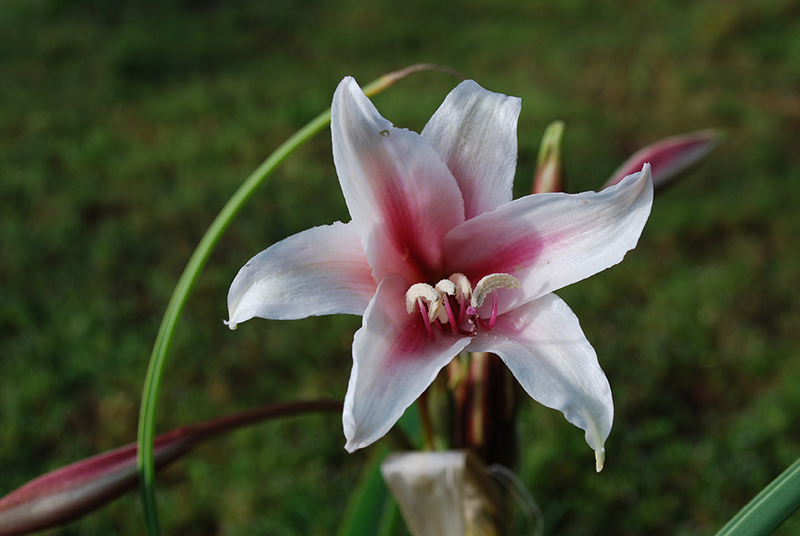 The flowers are white with bright yellow stamens and are quite showy in late May and June. Moist soils and afternoon shade are preferred in the Carolinas. Other Asian and American species exist with outstanding qualities; however, they’re challenging to propagate and grow commercially. For an overview of cultivated species from a British perspective, along with stunning photos, see the June 2008 issue of The Plantsman (“Stewartia in cultivation” by Eric Hsu, Timothy Boland, and Koen Camelbeke). I love gardenias. 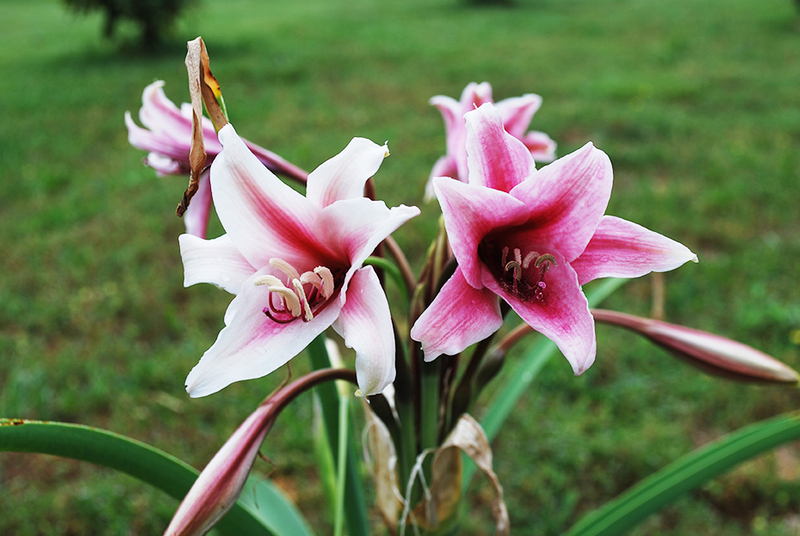 Their perfectly sculpted waxy-white flowers and sweet fragrance are irresistible. Native to China, Taiwan, and Japan, gardenias have been in North America for more than 250 years. 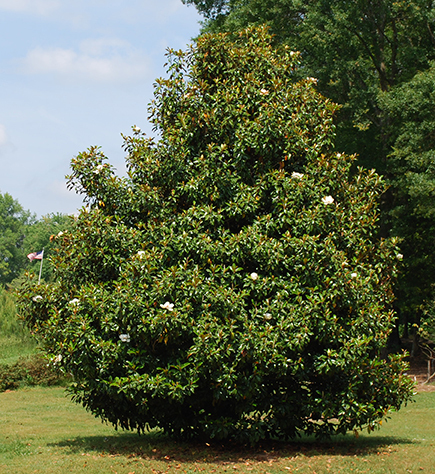 Named after Dr. Alexander Garden (1728-1791), a Scottish naturalist, physician, and planter, gardenias first arrived at Garden’s Yeshoe Plantation in Charleston (“Charles Towne”). In short time, their popularity spread throughout the colonies and across to Europe. 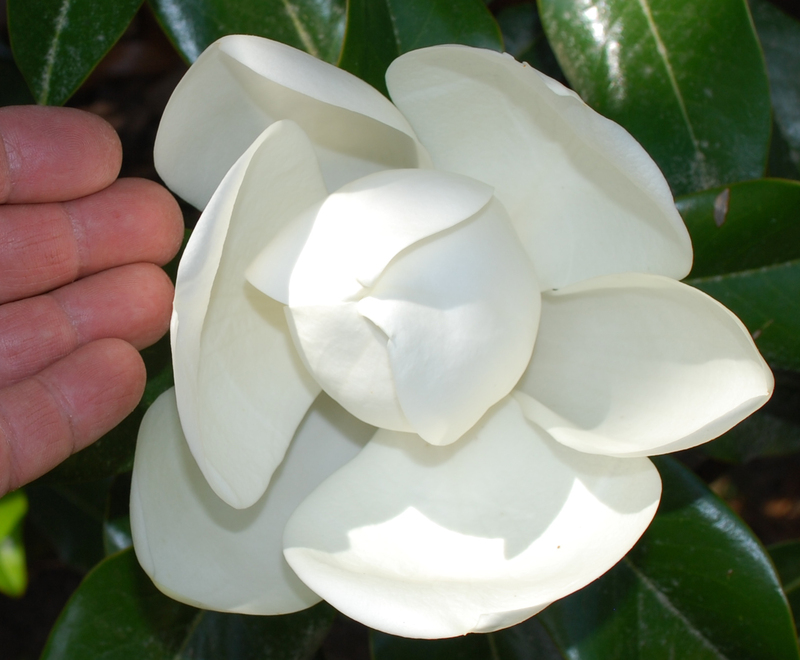 Gardenias may reach a height and spread of 4 to 6 ft., although I’ve seen 8 ft. high specimens. Their polished evergreen leaves provide an attractive canvas for their bountiful floral display, which is heaviest in late April to June and intermittent thereafter. MADGA I (Heaven Scent®) gardenia flowers. Since Dr. Garden’s time, gardenias have come a long way with so many delectable choices. Cultivars with double-white flowers include First Love®, ‘August Beauty,’ and ‘Mystery.’ ‘Chuck Hayes’ bears jaw-dropping semi-double flowers, and ‘Grif’s Select,’ ‘Kleim’s Hardy,’ ‘Shooting Star,’ and ‘Variegata’ have single-white flowers. 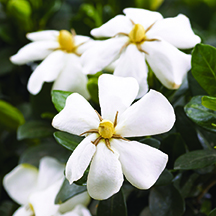 ‘MADGA I’ (Heaven Scent®) is a compact columnar-shaped gardenia with a height and spread of 3 to 4 ft. It produces a blizzard of single white flowers in June and reblooms through August and September. In the fall the flowers give rise to attractive orange-red fruits that persist in winter. I’m especially enchanted by the double-flowered gardenias. Often when I admire an exquisitely designed flower, time stands still—and for a brief moment everything seems right with the world. Maybe that’s why gardenias have been cultivated for over a thousand years. Kousa dogwood in bloom now! Similar to its distant cousin, flowering dogwood, the Chinese or Kousa dogwood (Cornus kousa) creates an uproarious floral display in late Spring. Despite flowering fashionably late after its leaves have completely unfolded, it’s still a spectacular sight to see the longlasting white four-pointed bracts of Kousa dogwood nestled comfortably above the leaves. The flowers give rise to unique rosy-red fruits that look like raspberries on a stick; they are edible but insipid. Unlike the alligator-like bark of C. florida, the aging trunk of C. kousa exhibits beautiful flaking mottled bark patterns on a smooth trunk. 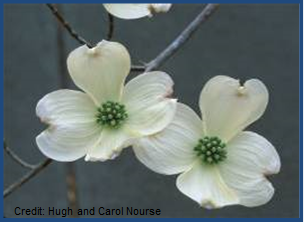 Kousa dogwood has better drought tolerance than flowering dogwood, and can be sited in full sun or partial shade. Dogwood borers and foliar diseases rarely attack this species. To capture the beauty and durability of both species, plant breeders have crossed kousa with flowering dogwood to create an exciting collection of hybrids touted for their insect and disease resistance. 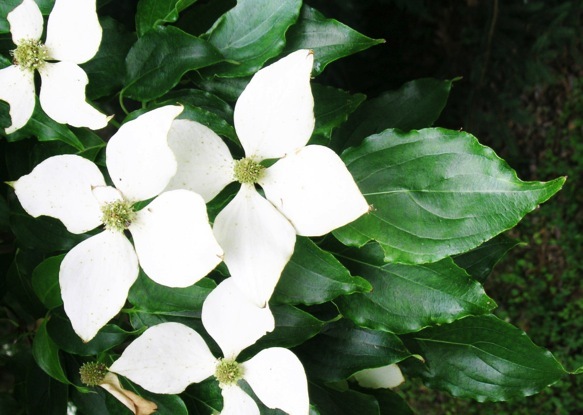 Recently, NC State Professor, Tom Ranney, created a hybrid between the pink-bracted Miss Satomi kousa dogwood and the evergreen Summer Passion Hong Kong dogwood (Cornus hongkongensis). The resulting offspring is called NCCH1 (Little Ruby™), a compact shrub or tree that bears four or more rose-pink bracts in late spring to early summer and burgundy-red fall color. NCCH1 has the added bonus of heat tolerance and disease resistance.